Witchy Words: Presenting: Terra Luna - Our New Home! 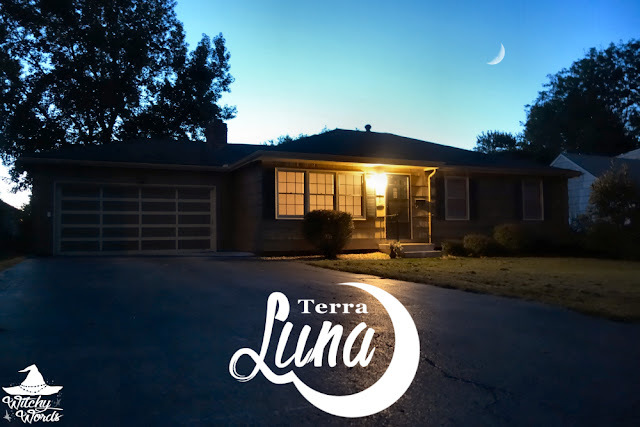 Presenting: Terra Luna - Our New Home! My husband and I are renters. Not perpetually, we hope; just until we get his student loans paid off and a savings built to purchase a house. After a terrible experience in an apartment, we began renting houses. Our first experience with a house was fantastic! The Witchy Cottage was way better than any apartment we'd ever stayed in. Unfortunately, after 10 months, the owner lost his job and needed to move back. That's when we discovered a 105-year-old Queen Anne modified house located in a historic part of our city with the option to purchase after five years! It sounded perfect, but maybe a little too perfect. We quickly discovered problems with the house. Sadly, the owner did not take good care of it and, eventually, could not afford all the absolutely essential repairs the house needed to remain safe to habit. After just 30 days, we were told we had to say goodbye to our kitschy witch dream home as the owners needed to foreclose. Once again, we searched. We found a place we liked - it was no Queen Anne but it had its own modern charm. We did a little spell, said a little prayer and put in an application. Today, I present to you our new home! I'm currently writing this last Friday (hello future audience!) as I'm traveling to Florida for a week to see family. However, I felt it would be highly appropriate to post about our new house on Monday (moon day). We named our new home after the street it was located on - Crescent Avenue - and associate crescents with the house. I plan on hanging crescent charms all over it! The house features an extended living room with a fireplace, a formal dining room and hardwood floors throughout the top floor. It's been recently updated, which means we won't be renovating and painting this one. It looks just fine as is! Typically, I loathe galley style kitchens but this one is huge. It's at least double the size and width of any galley we've ever rented, with tons of cabinet space on that far left side. We're super excited about it, particularly as my circle has talked about doing communal dinners starting in October. The master bathroom is to die for with this adorable granite counter top and vessel sink! And don't worry about it chipping or cracking; the glass is thick and clearly tempered. The main floor features three bedrooms. One of these two will be our roommate Tony's. The other will be mine and my husband's office! The master bedroom is also huge! We'll have plenty of space for our California King and then some. It also has a newly-remodeled full bath with a gorgeous shower! The historic home we're in until, well, last Saturday, only had bathtubs. The first thing I did when we officially got the keys was ran over there and took my first shower in over 30 days. Baths are nice, sure. They really are. But I live for showers. It was glorious. If you go down the stairs in between the kitchen and dining room, you'll find the family room! This will be the new altar room, which is perfect because it too has a fireplace. I plan on using the deposit return from the Witchy Cottage to purchase new items for the spiritual room and make it a little more open for entertaining as well as circle work. The bottom floor also has this large room attached to the family room. This would be great for an exercise area and a game room. Finally, here's the quaint but cute backyard. Plenty of space for my circle to celebrate, space for me to have a garden up above and just the right amount of privacy with all the trees and bushes! The most surreal part of all of this is that we are currently moved into it and, as of 5:30 this evening, the old historic home is long gone. And I'm not even in town for any of it. I'm in Florida! I left the day before we moved and I won't be back until Thursday. While I took care of most of the details before moving, I'll be interested to see how things went. Plus, I'm super excited to come back home to not only my family and my dog, but my three cats who spent sixteen days boarded. They were at our fantastic vet, but they were away from me. I miss them so incredibly much. So coming home to Terra Luna will be a tear-filled, joyous experience! Before I wrap this up, I wanted to give a special thank you to everyone who helped us through this difficult series of transitions. My family moved us, my husband's family ensured our pets were safe and my friends picked us up when we were crawling. And then there's you, my Witchy Words readers, who have remained positive and supportive throughout this entire ordeal. We couldn't have done this without any of you! So there you have it: Our new home! You'll get to see pictures of it fully set up and dressed for the holidays after our Winter Wonderland housewarming party on December 5th. Until then, you can catch glimpses in my upcoming blog posts! See you all soon! what a wonderful place! It looks well kept and renovated and care for! I am jelly about the fire place, is there three?! The kitchen looks so big (well long lol) and the colours! Thank you so much! There's just two fireplaces but one of them will be in the new spiritual room, so that's pretty exciting! We're looking forward to making this home for a long while. I'm so glad you got the house you wanted! It looks lovely, and I can't wait to see what it looks like once you're all moved in. You'll have to give e the address so I can send you a house charm. Thank you so much! We have a lot to buy to fill the space as it's considerably bigger than the Witchy Cottage, so I'm also interested to see the end result. But here's hoping we get there before December! Send me an e-mail at artist@mdartist.com and I'll respond with the new address. And thank you again! What a warm and inviting space. Love the stone in the circle area. Congratulations! Thank you so much! I'm super excited about having a fireplace in the spiritual room! Gosh, I hope so! We'd really like to put some roots down somewhere for a while. It's still an upgrade from the Witchy Cottage, so we're still pretty happy. Thank you so much! Thank you so much! Here's hoping we don't move out of this one for a long while! Oh wow! That home is gorgeous. 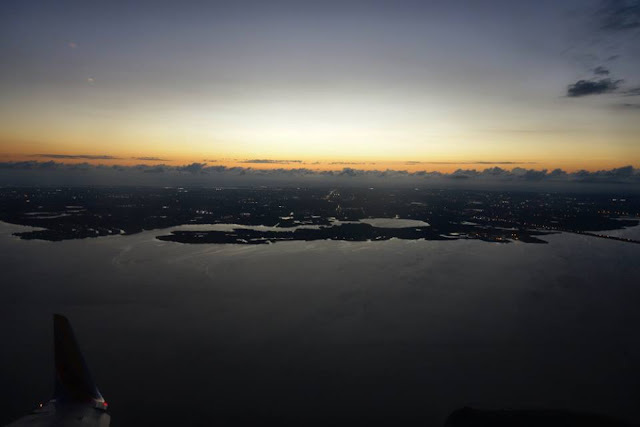 I love my home, because it is ours (we purchased it this past July) and it has a lot of family history and means a lot to my husband, but if I do not like much at all about my house. I am so happy that your family found such a wonderful home so quickly and I hope that you will be able to stay there a long time until you are ready to purchase your own place. This is fantastic for you all!! So excited! I understand completely how you feel. We're not going to be able to purchase for a while, but that's similarly how I felt about the Witchy Cottage. It was a nice place to live but it had a lot of problematic areas, such as the weird unfinished 5th room and a dated appearance. This is certainly an upgrade. I hope you can find some comfort in your house in that you can always add some fresh paint here and there that might align it more to what you want. Best of luck to you on your new home, and congratulations! Thank you so much, Paige! I tend to forget just how much living spaces vary from place to place. My husband works for a Spanish company. When he made mention to one of his bosses that he was moving from an apartment to a house, it was seen as a downgrade because lofts are usually in the city, where the business is, and houses are more country there, where farmland is. That was a culture shock we both talked about for a long while. Either way, thank you so so much! Here's hoping we don't move from here for a long time! The world works in mysterious ways. This house is much nicer and while it doesn't have the same historical charm as the Queen Anne, it is still beauitful and looks as if it is going to suit your needs just fine. So happy for you both! Thank you so much! I think I still have this movie-esque vision of what a witch lives in. I'm just going to have to change that, aren't I? I'm still really excited about this place. It's an upgrade from the Witchy Cottage for sure. Hopefully, we can rent it for long enough to get a financial savings built so we can actually buy a house!